Product prices and availability are accurate as of 2019-04-20 16:15:10 UTC and are subject to change. Any price and availability information displayed on http://www.amazon.com/ at the time of purchase will apply to the purchase of this product. 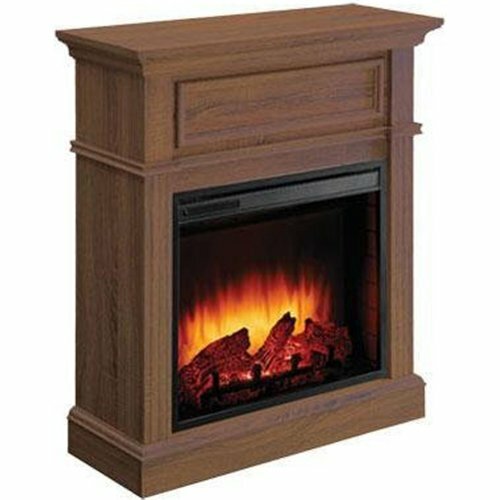 The Briarton electric fireplace offers a 23LED real flame effect surrounded by a rich, Heritage oak mantel, that will make it a welcome focal point or accent piece to any room. The hand held remote controls 11 thermostatic temperature levels and a 10 stage timer. Also includes a fade awaylcd display. Assembles in less than 30 minutes, just plug it in and enjoy.